We know that in building a brand, a product/service will be doing itself a favor. Only those brands, which have integrity and honesty, will survive in the rat race for customer eyeballs. In such a scenario, how does one create stories, which help increase sales? Creating stories about a brand or a service is a good ruse to increase sales. However, one needs to know from where to get material to narrate these stories. 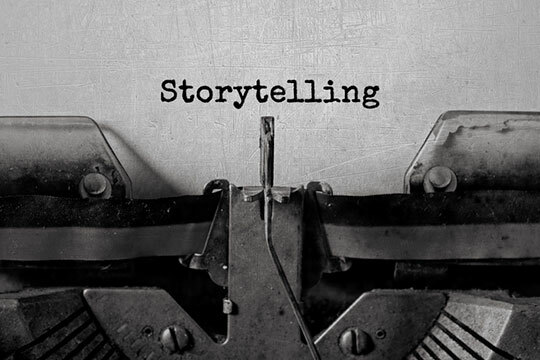 This article talks about three storytelling tips, which will stand you in good stead for entrepreneur brand building. Here, it is important to mention that the tips given are not exhaustive. There are many tips and tricks online to narrate stories for creating a brand name building. Remember, it matters how one pitch any idea to a potential investor or business partner. Putting forward your ideas to show that your company is different will go a long way toward improving customer perception about your brand. Look at the stories of Jeff Bezos and Elon Musk. Both of them wanted to do things differently and each believed in perseverance. A budding entrepreneur must always remember that the touch of something personal in his professional life can take him a long way. The success stories of Jeff Bezos and Elon Musk are cases in point. These people are ideals everyone holds in high esteem. Their principles should be imbibed in order to get success. They owe their success to the numerous stories they created to build their brand. This section will give you some tips on how to tell stories to build your entrepreneur brand. Why did you start your own company? This ‘why’ is very important? You need to be able to explain the reason why you decided to start your own company. Your platform needs to propagate the message that your start-up or company is in alignment with your beliefs. This must be the backdrop of your success story. Create a strong, why, which will create emotional upheaval in your audience when they hear your brand stories. This turmoil should make them want to create companies themselves. Such should be the impact of your story on them. Creating a strong story about the reason for starting your company will go a long way in creating your vision and mission. Recommended for you: 7 Unique and Long-Term Strategies to Improve Your Brand Identity. Infuse personal elements to your story so that your audiences are touched. Try to appeal to the emotions of your audience. Every story that you tell your customer to sell your product/service must create a space in his heart. Try to tug at his heartstrings as you narrate your story, to sell your offering. Try to appeal to his empathetic self. 2. Does Your Company Care for Society? Try to connect the motto and logo of your company to the essence of life. Show how your efforts are helping society solve its problems. Explain through your social media posts or your advertisements how society is being benefitted by the work done by you in the social sphere. Show how your company is also active on the social front as much as it is on the business front. Show that your company cares for society and how your profits are going towards charitable causes. Do not try to trim the instances when you had to face hardships when you narrate your story to your audience. Try to create a realistic story, which can evoke emotions in your audience. This is because emotions will open their purse strings. Generally, stories about hardships endured and problems overcome carry a lot of weight with customers. More so if it is making a difference to society. Brag about your social contributions towards society. This will go a long way towards creating a place in your customer’s heart and that will compel them to loosen their purse strings. This article is written by Hermit Chawla. He is a Marketing Manager at Sprak Design. He would love to share thoughts on graphic design studio, lifestyle design, firm branding, exhibition design etc.